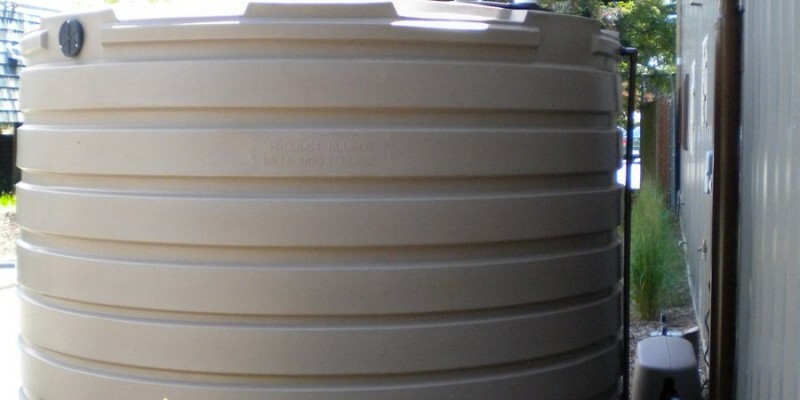 A 2,800 gallon rain tank with a debris screen collects and stores rain water from a nearby building roof. During the dry season, the water is pumped through a drip irrigation system to water the surrounding landscape. 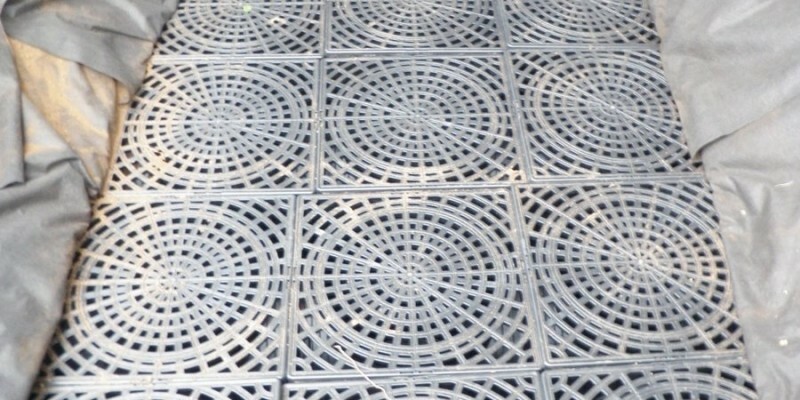 Stacked open-celled crates under weed cloth capture storm water in the rain garden and allow it to soak into the ground instead of running off into the street. 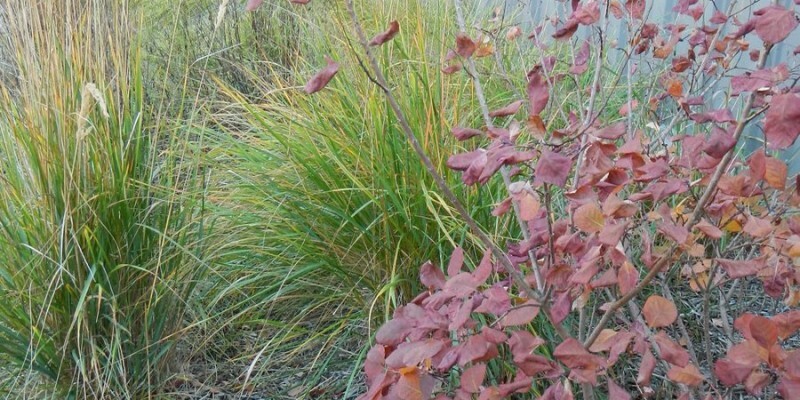 Grasses in the rain garden can withstand both periods of flooding and dry spells. 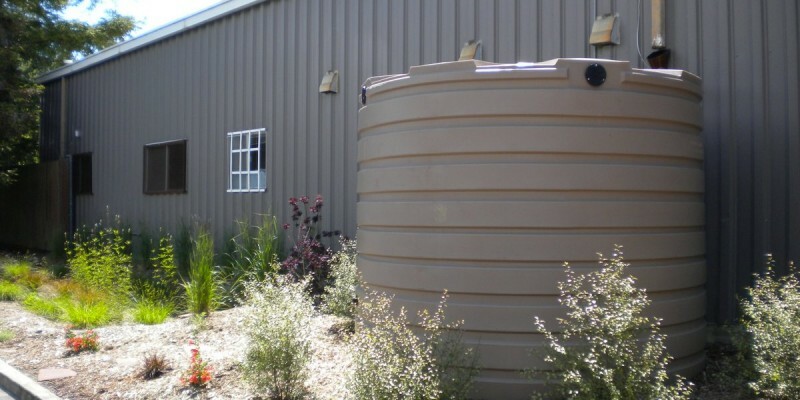 The 2,800 gallon rain tank overflows into the rain garden when full. 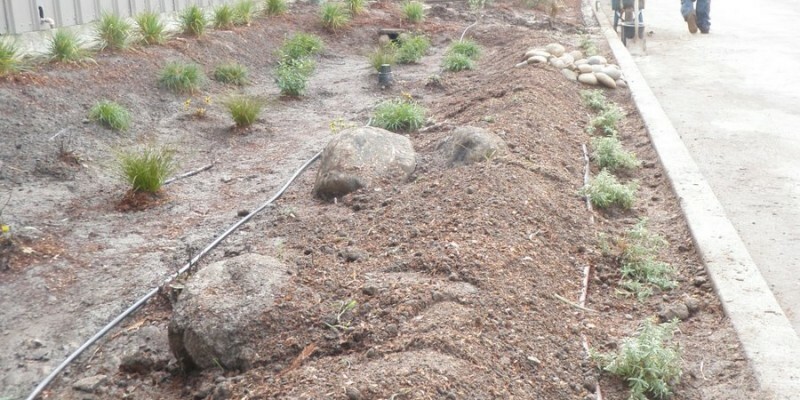 Drip irrigation lines are laid down and emitters are placed near the plants before a layer of mulch is spread on top. 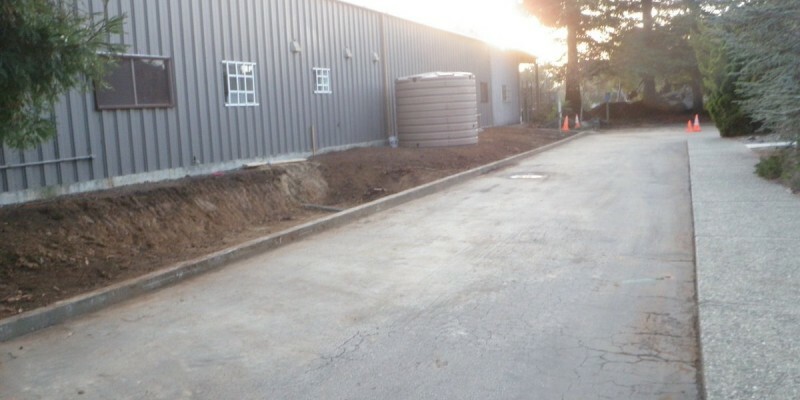 When it rains, the 4,300 square foot roof drains into the rain tank . 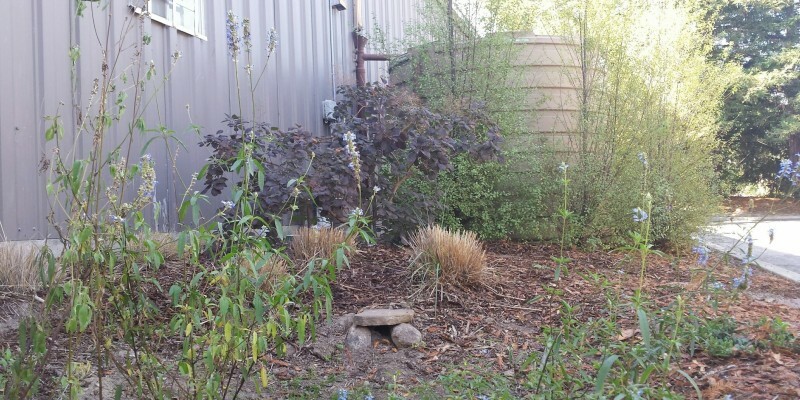 When the rain tank is full, it overflows into the rain garden lined with drain rock and slowly seeps into the ground. 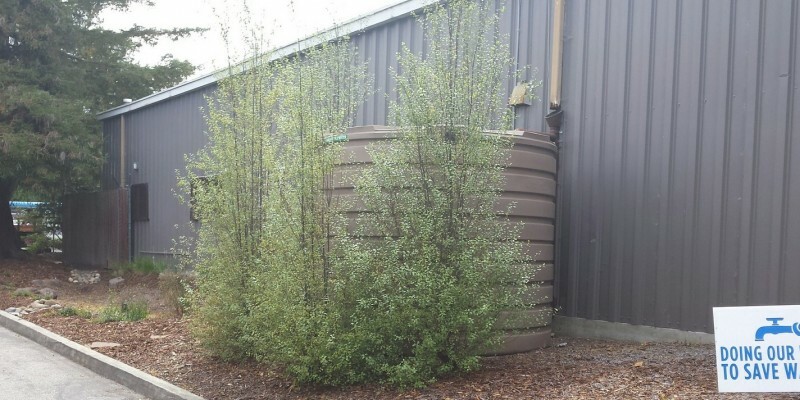 Pittosporum was planted to screen the cistern and protect it from direct sunlight.